You know how you have an idea and then it becomes a BRILLIANT idea. Well, I've had one of those. Most authors do. But I actually think this is rather clever and brilliant. Colouring books are the rage at the moment, outselling fiction and non fiction books. So I had this idea about doing a colouring in version of my book cover for people's creative pleasure. Turns out I can't do the actual cover because it is a photo and would not translate well to colouring in. But I did play around with a cover a while ago and guess what, it translates PERFECTLY into a colouring page. 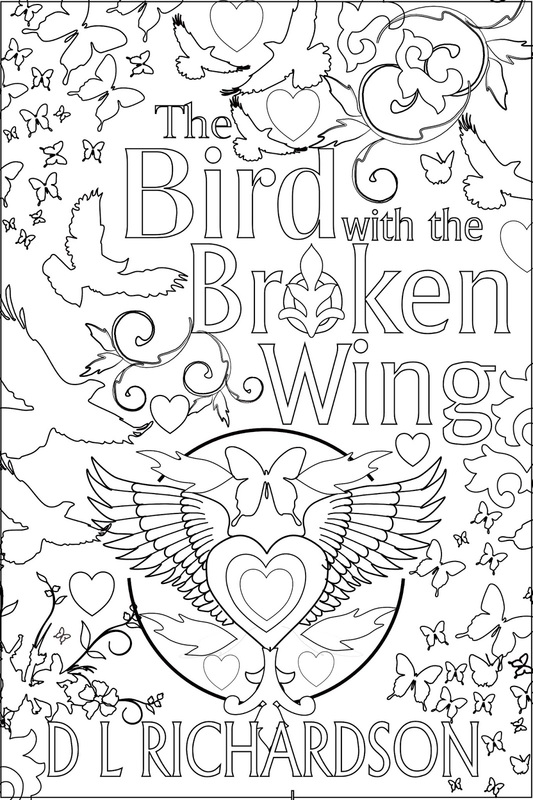 So I'm offering it as a free download to anyone who would like to partake in the colouring craze taking the world by storm. You can download a pdf copy from my website HERE. Over the next few weeks I'll do colouring versions of my other books. Feedback and Little Red Gem, plus my horror novella Poison in the Pond. I can't wait to create these colouring pages. Especially the horror one. Mwah hahaha.